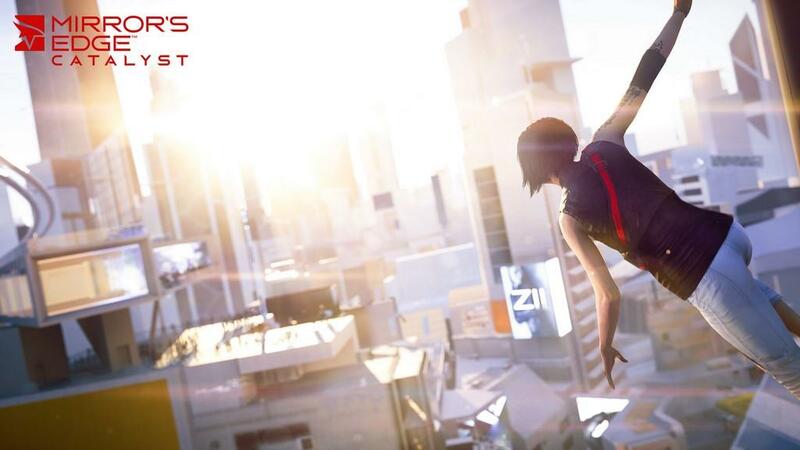 It’s been almost eight full years since we last had a chance at DICE’s first person free runner. 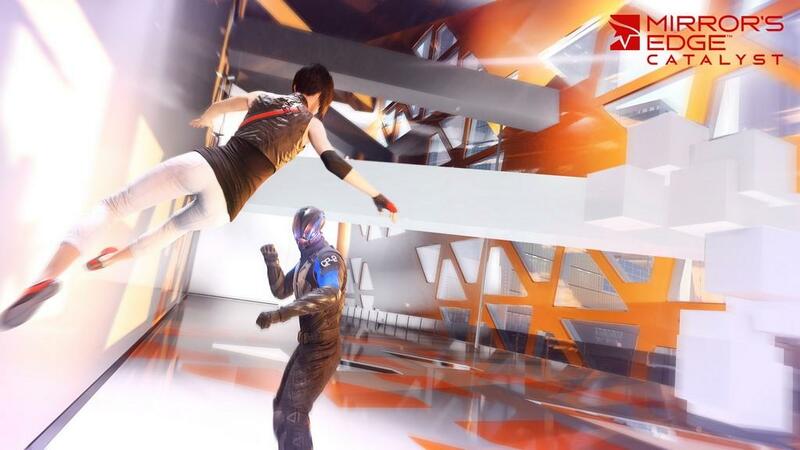 Mirror’s Edge garnered a cult-like status as an under-appreciated gem of the last generation. 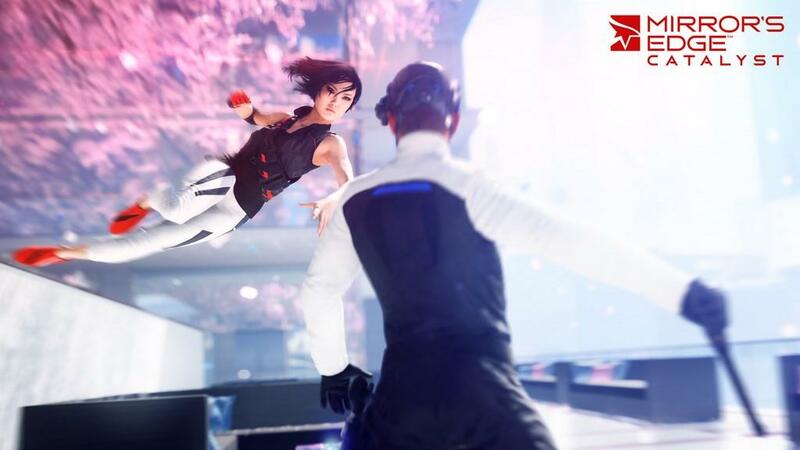 So now here we are, a few weeks away from the launch, and with a chance to play the Beta of Mirror’s Edge Catalyst this weekend I dove right in. Has time changed Faith for the better? I’d like to think DICE is on the right path. 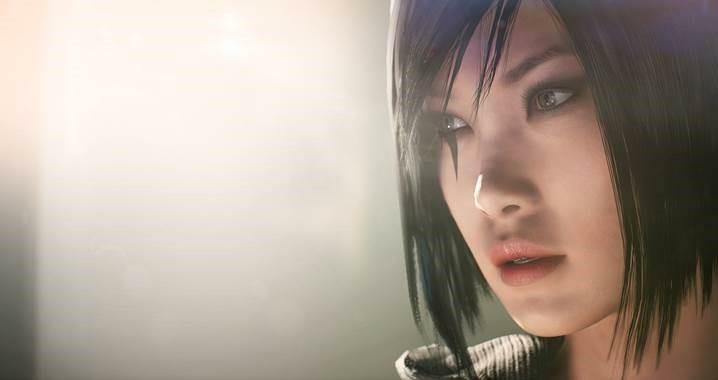 The beta kicked off giving me a look at the dystopian yet functional City of Glass, where Faith has been imprisoned for the past two years after a botched job with her group. A new member of the group, Icarus, is there to get Faith back into the fold. 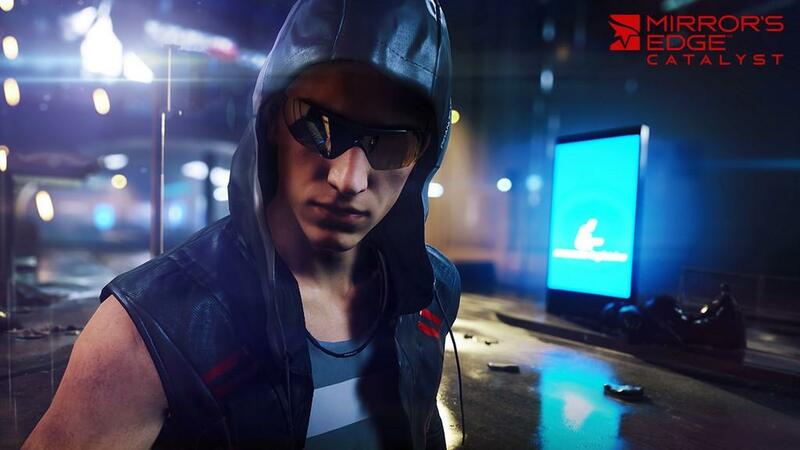 Off the bat, I hate Icarus, I’m sure there will be some redemption for his douchey attitude at some point in the final game, but just from what I’ve played, I’ve quickly come to dislike him and his wrap-around shades. With Faith fresh out of the hands of Kruger Security, there’s a lot of doubt cast on her abilities, so she’s got a chip on her shoulder and something to prove. 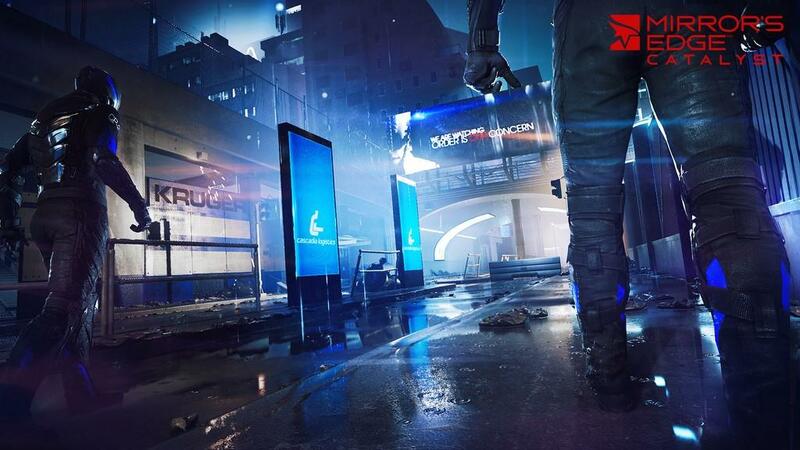 The City of Glass is pretty much run by corporations along with Kruger Sec, making runners a necessity for the people to fight back. In an almost ironic twist, the beta was constantly displaying my gamertag, along with build information, I’m guessing to discourage streaming, along with potential piracy. Dystopian indeed. After a couple of tutorial missions, I was free to move about the area that was accessible for the beta and I’ve got to say it’s a pretty hefty chunk of landscape to explore. The Zypher Transit Hub is basically the home base for Faith and the group run by Noah. Runners train there, giving it a bit of a homey feel. The meat of the beta took place in Concord Plaza, Centurion Yards, and Triumvirate Drive, taking up about one fifth of the overall size of the map. Each area contains numerous hidden and not so hidden objects to find, some of which I discovered were not totally accessible for the beta, leading me to many falls to my death. You can also set-up time-trials and other waymarks so that other players can see them. 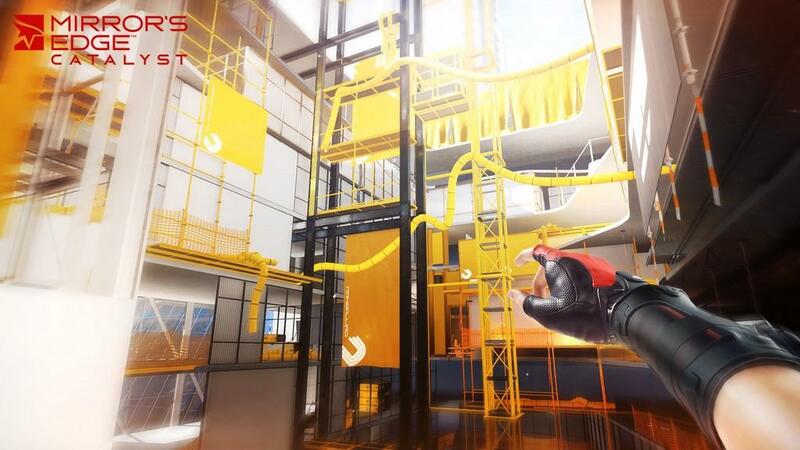 They’ll clutter the map though and thankfully can be turned off, making it easier to navigate. Completing missions and side jobs would earn me XP that I could then put into Faith’s abilities. 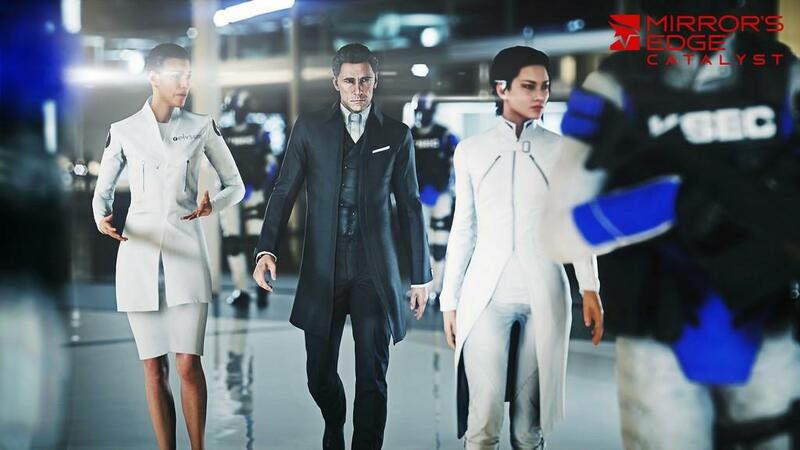 Initially the controls seemed a bit clumsy and light, like I was playing something with the snappiness of Call of Duty, which it didn't need to be. I don’t know if eventually I got used to things, but in time I grew accustomed to the weight they’ve assigned Faith and her movements. Although it’s tough to get a sense of momentum and flow in the early going. After unlocking the ability to roll out of jumps, I definitely noticed a different feel to the game, making movements flow a bit more naturally. Combat still feels a bit clunky though, Faith can now strafe around enemies using the right trigger, and there are light and strong attacks that can be used, but in a strange twist, getting enemies to stagger into walls, objects, even other enemies does considerable damage to them, making it ideal to try and round enemies and steer them into each other, sometimes with hilarious looking results. Given that it’s a beta, I expected things to be incomplete, and rough around the edges, but it’s concerning to see how often the frame-rate takes a dip, whether from streaming in areas, or just from running from place to place, it wasn’t uncommon to see a hitch here and there. There were also issues with the lighting, causing character models to load in a lot darker than the surrounding environment would lead me to believe. The character models also had this weird blur around them, making it difficult to see the finer details of the people I was interacting with. 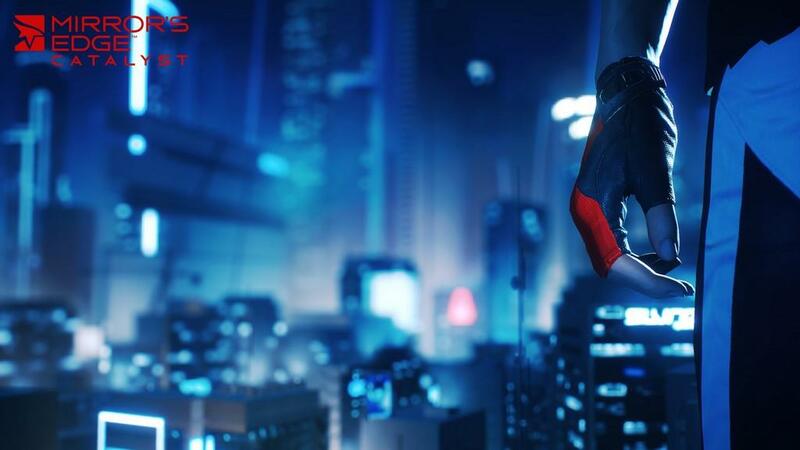 The City of Glass is absolutely stunning though, just running from rooftop to rooftop you can see that DICE is really pushing the limits of what the hardware can do, leading to some curious level of detail issues with things slightly off in the distance, and don't bother watching cars on the road, little nitpicks, yeah, but they still catch my eye after spending so much time working in games QA. With that said though, it’s kind of jarring to see smaller objects just pop into existence, looking at you security chip interfaces. 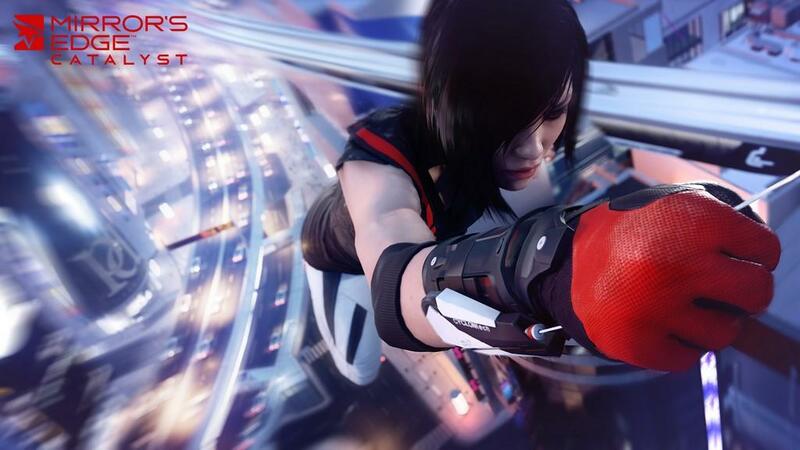 So playing the Mirror’s Edge Catalyst beta, I’m definitely hopeful for the final product. I mean, I was a huge fan of the original game (bought it for both platforms, and have all the comics released to date), so I’m cautiously optimistic about this. The XP system feels a bit unnecessary, but kind of makes sense in the context in the story, Faith’s been in prison for the past two years so it would make sense that her skills are a little rusty. Even I had to take a bit of time getting used to things again, because there’s really not many games like this out there, ones that make the pit of my stomach drop out if I get too close to a ledge, ones that make me want to constantly run time trials against other players out there, trying to find the best lines and the shortest, most optimal paths. 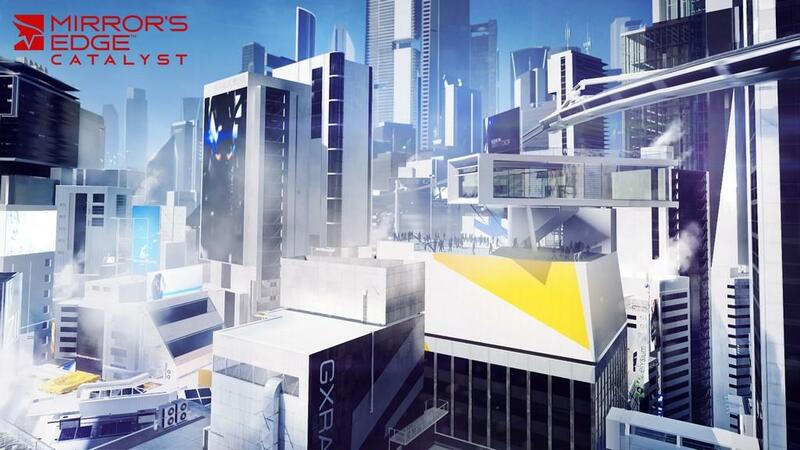 It’d be really difficult to screw this up now DICE, unless you’ve got a crap story at the end of it all, even then, running the rooftops again is an experience I’ve greatly missed.